Judge Andrea Teves Smith grew up in Bradenton, Florida. She received her B.S. degree in Business Administration from the University of Florida in 1991. In 1994, she earned her J.D. from Stetson University College of Law, where she was Research Editor of the Stetson Law Journal, a member of Phi Delta Phi and Stetson Moot Court Board (President 1993-1994), and a Research and Writing II, teaching fellow. Upon graduating from law school, Judge Smith entered private practice in Lakeland, Florida, joining the law firm of Peterson & Myers, P.A., and later becoming a shareholder of the firm. During her 19 years with Peterson & Myers, her practice included complex business litigation and appellate law in the areas of contract disputes, employment, creditor's rights, eminent domain, and land use law in state and federal court throughout Florida. While in private practice, she earned an AV rating by Martindale-Hubbell. In June 2013, Governor Rick Scott appointed Judge Smith to the circuit bench of the Tenth Judicial Circuit Court. In 2014, she was retained by election without opposition. She served over 5 years as a circuit judge in the felony, family and civil divisions. As a circuit judge, Judge Smith held several leadership positions including Administrative Judge of the Civil Division for 2 years, Chair of the Tenth Circuit Fairness & Diversity Team, and Second District Court of Appeal Representative of the Florida Conference of Circuit Judges Executive Committee. She also served on the Florida Bar's Eminent Domain Committee and co-authored the Jury Instructions of the Florida Eminent Domain Practice and Procedure (10th Ed.). 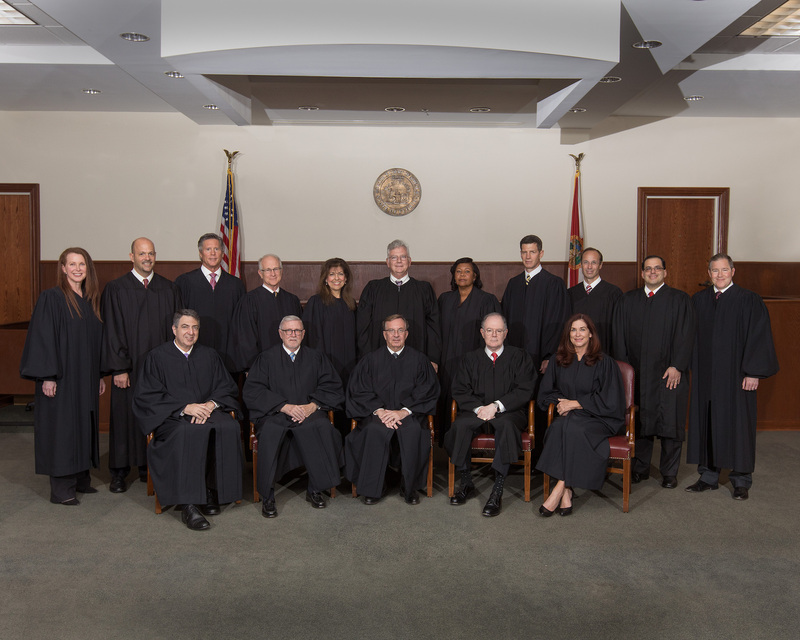 On January 7, 2019, Governor Rick Scott appointed Judge Smith to the Second District Court of Appeal. She began her service on February 1, 2019. Judge Smith is a member of the Lakeland Bar Association, Polk Association of Women Lawyers, and Willson American Inn of Court. She served on the Florida Bar Standing Committee on Professionalism and the Committee on Relations with CPAs. She was also a member of the Federal Bar Association. Judge Smith was a legal advisory board member of Florida Southern College, Lakeland Chamber of Commerce General Counsel, Secretary of Explorations V Children's Museum, and graduate of Leadership Lakeland (Class of XXI). Judge Smith has served on the advisory board of the Academy of Legal Studies at George Jenkins High School since 2014, and mentors the mock trial team.